The next generation of the great Chinese migration is re-focusing the country’s attention on its interior. 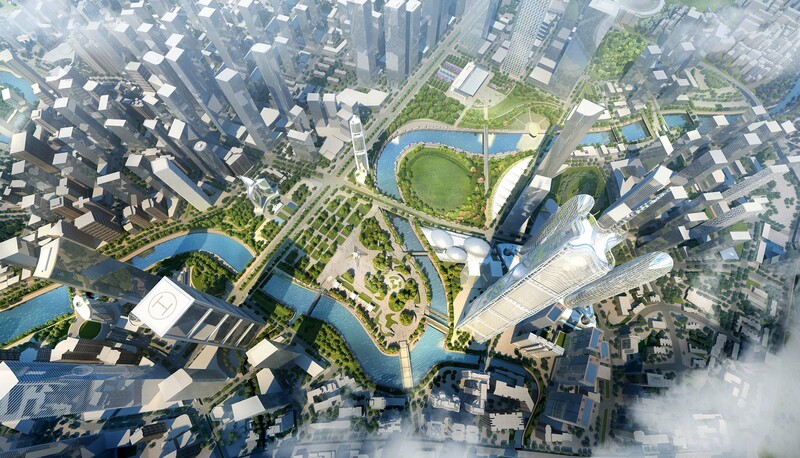 Up to 100 million people are projected to move to western cities including Guiyang and Chongqing in the next 5 years. What will their lives be like, and how will they impact the millions of people already living in these cities? 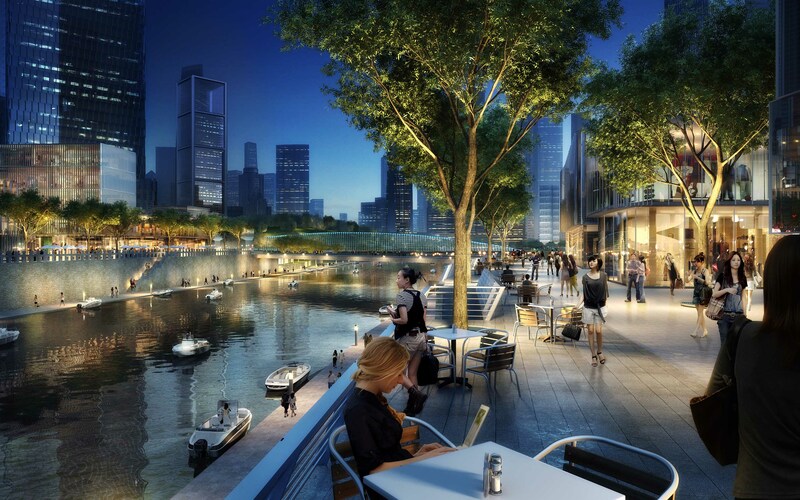 The Nanming Riverfront Cultural CBD Master Plan suggests a path forward for Guiyang based on renewal of its historic urban core, an 800-hectare district along the banks of the Nanming River. It advocates for extensive networks of natural and man-made open spaces, allowing landscape to become the primary driver of city form in 54 hectares of new parks. 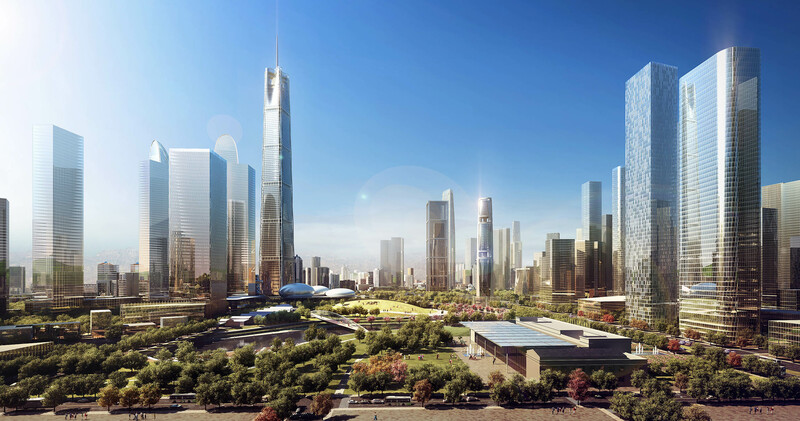 It focuses infrastructure investment on transit, and plans for adjacent development at densities far exceeding common practice today — including up to 12 million square meters of new floor area. 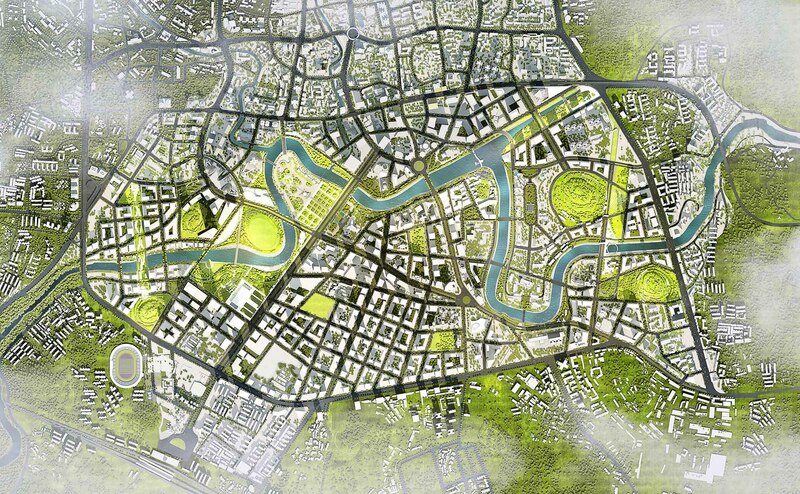 It knits together existing city assets and culture along the Nanming River to create a bold new identity to position Guiyang as the cultural gateway to Western China. 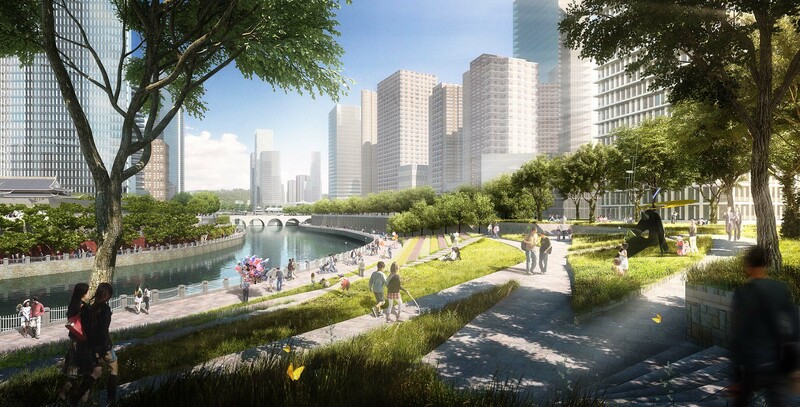 And it approaches every scale of development through the lens of sustainability and resiliency, including provision of district-level renewable energy, water reduction, high-performance landscapes, and transportation networks designed to reduce carbon impact by up to 40%. 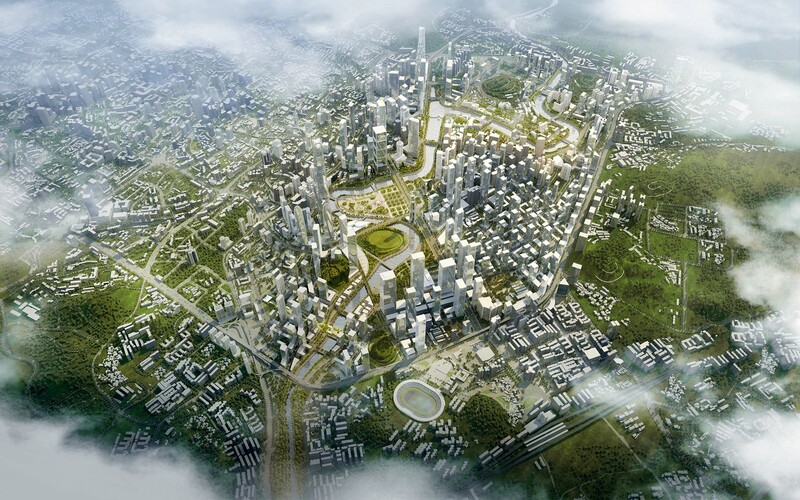 The plan can become a model for Western Chinese cities to implement, at the micro-scale, the macro-level government imperative to develop China’s vast inland areas, and to do so in a manner responsible to both the heritage and future of the country.